Had a blast in Tokyo Disneyland today. Even I have been to Disneyland in HK for more than 10 times, I was still very excited coz Tokyo Disneyland is like 10 times larger than that in HK! Had breakfast in a fast food shop early in the morning. The price was quite close to those in Hong Kong. Actually I think one of the greatest things for Japanese food is that, they are all served in good quality, even though it's only a fast food shop that you passed by! 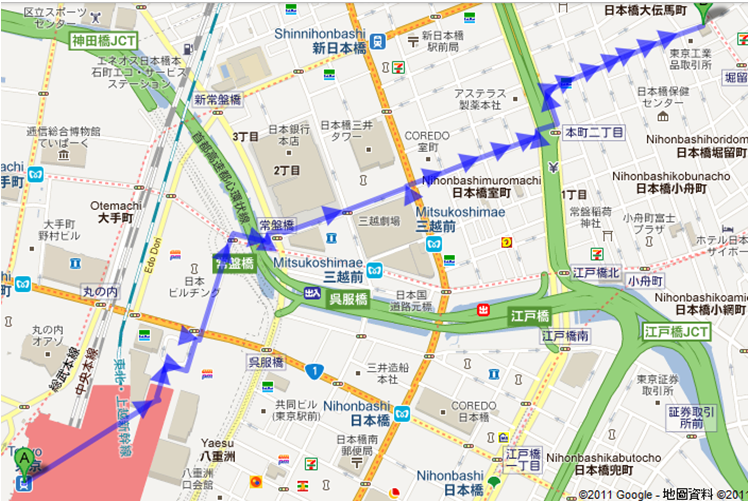 Then walked to Tokyo Station (東京駅) and took a train to Maihama Station (舞浜駅). using machine to replace the staff, interesting! We bought the tickets via EGL Tour, which was only HKD540/ person. It is supposed to be 6,200Yen if we buy there. So, that was around HK$80 cheaper than buying online or directly at the ticketing counter, provided that we didn't need to queue up! We arrived there in around 20 minutes by train. We got a fast pass for a ride immediately after we got into the park, but the time stated was 8pm at night! Maybe coz there were so many people visiting the park as Christmas was around the corner. Watched the night parade. It was amazing and the atmosphere was great! Staff were energetic. Lights were colourful. It was joyful and lovely. Spent the whole day there but still couldn't finish all the games. Arrived hotel at around 11:30p.m. Another tiring day!